Double steel and wood wedges. British standard. Weight 10lb. 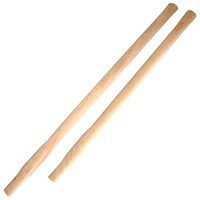 Both striking ..
Silverline 719767 Sledge Hammer Fibre Shaft Features General purpose heavy hammers for bu..
Silverline HA52 Sledge Hammer Hickory Features Double steel and wood wedges. Britis.. Style fibreglass shaft with rubber handle. Weight 4lb / 1.8kg. Handle length: 16i..
Silverline 633475 Sledge Hammer Handle Beech Features Replacement beech sledge handle. ..
Silverline HA54 Sledge Hammer Hickory Features Double steel and wood wedges. Britis.. Style fibreglass shaft with rubber handle. Weight 4530g (10 lb). Ideal for Builde.. Style fibreglass shaft with rubber handle. Weight 7260g (16 lb). Ideal for Builde.. Style fibreglass shaft with rubber handle. Weight 3lb / 1.4kg. 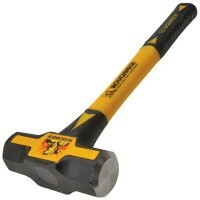 Handle length: 16i..
Silverline Sledge Hammer Fibre Shaft Features General purpose heavy hammers for building .. Style fibreglass shaft with rubber handle. Weight 3620g (8 lb). Ideal for Builder.. Double steel and wood wedges. British standard. Weight 14lb. 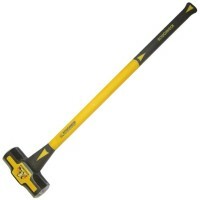 Both striking ..
Silverline 656575 Sledge Hammer Fibre Shaft Features General purpose heavy hammers for bu.. Style fibreglass shaft with rubber handle. Weight 2710g (6 lb). 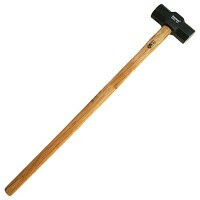 Ideal for Builder..
Silverline HA50 Sledge Hammer Hickory Features Double steel and wood wedges. Britis..